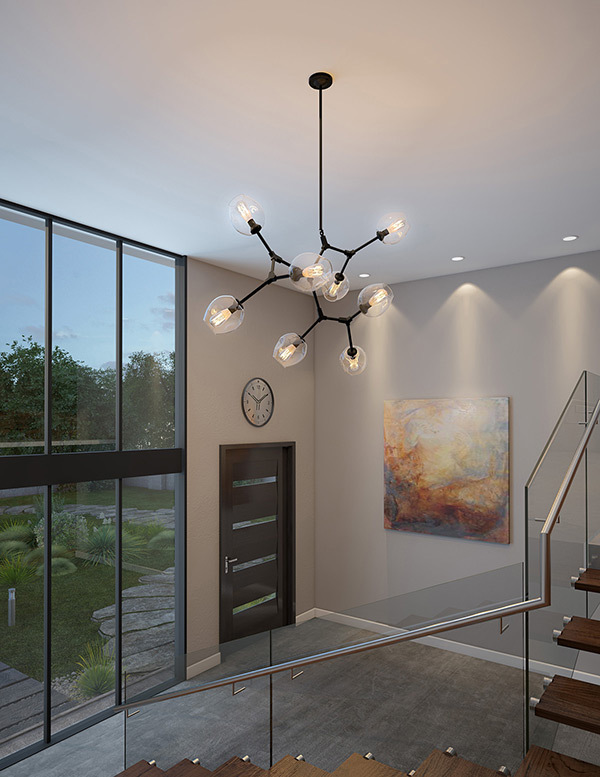 In the entrance or foyer of your home or business, general lighting is essential to welcome guests and visitors, and to provide safety as they enter. This can be accomplished by installing a decorative fixture such as a large pendant or chandelier, and if more light is needed, wall sconces provide illumination closer to the floor. 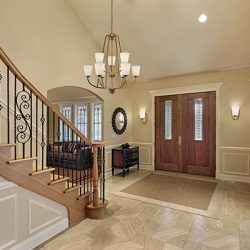 At Accent Lighting in Wichita, we have a wonderful selection of entryway and foyer lighting, and can help you choose the ideal fixtures for your space. In order to determine which fixtures will be best for your foyer, it’s imperative to know exactly how large the area is. 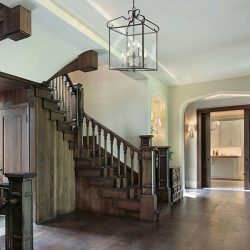 If the entryway is narrow and the ceiling is low, you may be able to provide enough light with a flush or semi-flush fixture, along with one or two sconces. 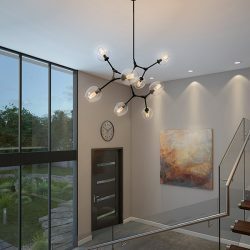 If the foyer is wide and the ceiling very high, a large chandelier or multiple pendants will provide the ambient light, while multiple sconces will light the way to the next area of the home or office. Adding a decorative mirror will help bounce light around the space, and make it seem brighter and more open. If you’re wanting to update your foyer lighting, then take a few minutes to look through our catalog, or stop by our showroom at 2020 North Woodlawn in Wichita. We’re always excited to meet new people and help them find the lighting design that they’ve been seeking for so long. 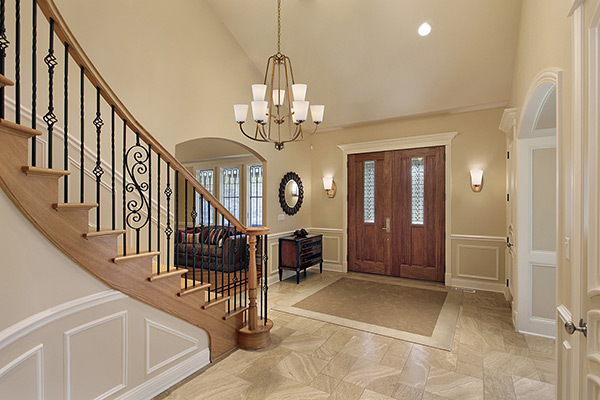 With a new chandelier, pendant, or sconces, your entryway will not only be properly lit, it will also look amazing and make every guest feel safe and welcome!